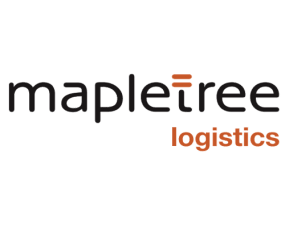 ­The Mapletree Ouluo Logistics Park, the first redevelopment project undertaken by Mapletree Logistics Trust has opened with full occupancy in phase one, securing pre-commitment from existing and new tenants, including third-party logistics providers. The park has been redeveloped as part of Mapletree’s revitalisation scheme in China. Aiming to improve warehouse efficiency, enhance asset value and rejuvenate the logistics facility. It is located in Pudong New District, Shanghai, China, and is 10km from Shanghai Pudong International Airport. It is also adjacent to the main highway between the Shanghai Waigaoqiao Free Trade Zone and the Yangshan Port. Upon completion in 2020 the park will have four blocks of double-storey ramp-up warehouses with about 80,700 sq m of floor area.